During our 2011 E3 press conference we proudly unveiled an incredible 2011 software lineup and amazing new PS3 peripherals, and also shed new light on our highly anticipated handheld gaming device, officially named PlayStation Vita(PS Vita). “Vita,” which means “Life” in Latin, was chosen as the name for our next-generation portable entertainment system because it enables a revolutionary combination of rich gaming and social connectivity within a real world context. By blurring the lines between interactive entertainment and reality, our goal was to design a device that offered a revolutionary combination of rich gaming capabilities and social connectivity, bringing users closer to each other and closer to their gaming experiences wherever they are. Connectivity was a key objective and our goal was to create experiences and content that would challenge the traditional notions of gaming. It was vital to make a device that was an extension of a user’s entertainment world, no matter where one would go. Successively launching in the global market for $249 starting the end of this year, PS Vita incorporates a beautiful 5-inch multi-touch organic light emitting diode (OLED) as the front display and a unique multi-touch pad on the rear. Two analog sticks enable a wider range of game genres. Together with the front touch screen and the rear touch pad, PS Vita offers new gameplay, enabling entirely new experiences. We know you’ve been closely following all of the news since we announced the product in January. With mobile connectivity playing a huge role in PS Vita’s interactive experience, we know many of you have been wondering what carrier will be helping us bring you closer to other users and closer to your gaming experiences on the go. Today, we proudly announced a partnership with AT&T, which powers the nation’s fastest mobile broadband network, who will serve as the exclusive service provider for PS Vita in the United States. By having both Wi-Fi and 3G/Wi-Fi models available, PS Vita will enable infinite possibilities for you to “encounter,” “connect,” “discover,” “share” and “play” with your friends wherever they are. The excitement doesn’t stop there. We believe that 2011 will be a defining year as we usher in a new era of portable gaming. With the official North American unveiling of PlayStation Vita also comes the introduction of an extensive line-up of software for the platform. PS Vita’s launch lineup is a force to be reckoned with, featuring exciting and attractive new titles from SCE Worldwide Studios, including UNCHARTED: Golden Abyss, LittleBigPlanet, and Ruin (working title), which utilize PS Vita’s groundbreaking technology to make unprecedented immersive, interactive and social game play available on-the-go. In addition, titles such as Little Deviants, Hot Shots Golf, Reality Fighter, Hustle Kings, ModNation Racers, Wipeout, Super Stardust Delta and a broad range of third-party game developers and publishers make use of PS Vita’s unique feature set. We can let all of you know that the biggest and best 1st and 3rd party gaming franchises will be coming to PS Vita. Further enhancing your entertainment experience are new PS Vita features, such as “LiveArea,” an interactive space for each PS Vita software title that allows you to access the latest game information through PlayStation Network; “near,” a pre-installed application that lets you see what other PS Vita users in the vicinity are playing; “Party,” which lets you voice chat or text chat while playing games or using the Internet browser; and “Welcome Park,” a tutorial application designed specifically to guide you through PS Vita’s new user interface. For more information, be sure to visit http://us.playstation.com/ngp/. 2011 is sure to be an epic year for us here at PlayStation. We’re always looking for ways to create compelling experiences for all of you and we’re very excited to bring you unparalleled gaming experiences with PS Vita. 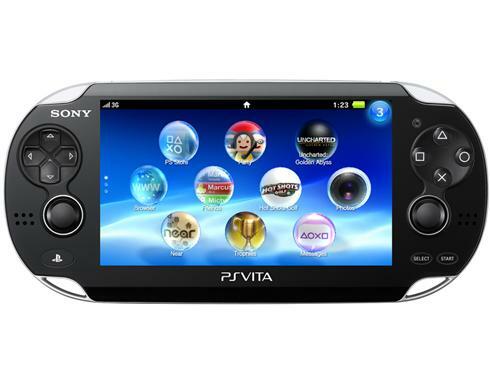 Let us know your thoughts and looking forward to having you try out PS Vita for yourselves!